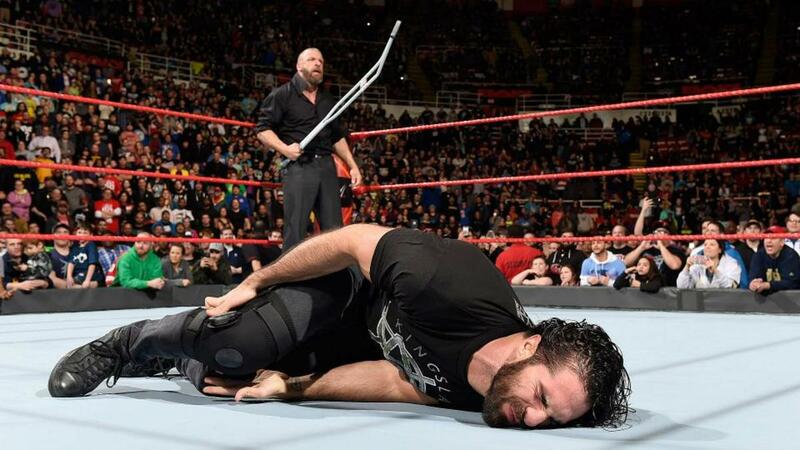 For the first time since suffering a knee injury earlier this year, Seth Rollins got physical on last night's Raw. A show-long storyline where Mick Foley had to find someone to fire led to him attempting to fire Stephanie McMahon, which brought on a brawl between Triple H and Rollins. And it was Triple H who left Rollins laying to further their WrestleMania angle. Big Show guest stars on "New Day Talks"